Halloween tends to be one of the biggest holidays for letting out your inner geek because it allows many of us to go a little crazy with our Halloween decorations and haunted displays for trick or treating, as well as for Halloween themed parties. 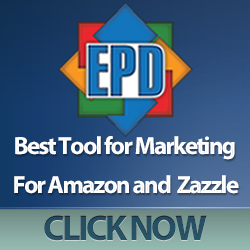 I’ve compiled a list of some of the coolest items I’ve found for use at a Halloween party or for your next trick or treating display. You can’t go wrong with changing your place into a creepy, dark, Halloween inspired spook fest to scare all the kiddies in their trick or treating costumes. Decorative Creepy Cloth – 4 yards x 30 inches – Everyone needs a few tattered drapes for their Halloween party. 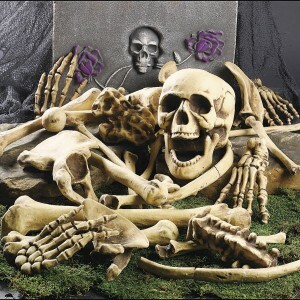 Deluxe Halloween Bag of Skeleton Bones – 28 Deluxe skeleton bones, perfect for a graveyard or haunted house theme. 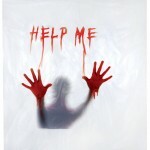 Bloody Handprint & Blood Splatter Window Clings – Perfect for showing there will be no escaping from your Halloween party. 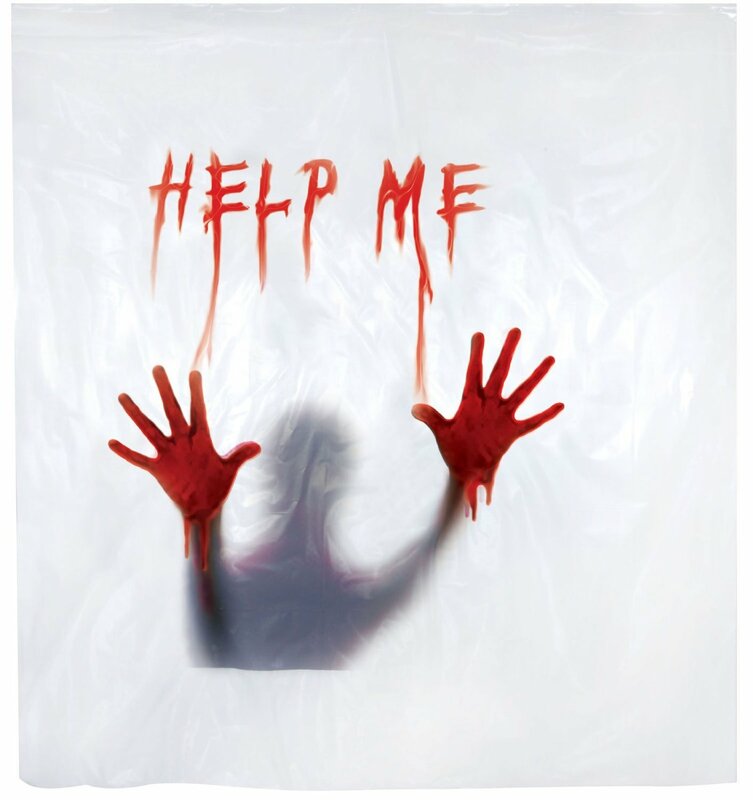 “Help Me” Bloody Shower Curtain – Blood smeared handprints and blood scrawled message on this scary shower curtain. Bloody Handprint Table Cover – A very messy table cloth with bloody hand prints and blood smears. 1 Zombie Flamingo – Super cool Zombie flamingo for your zombie themed or Halloween party. 6 Foot Halloween Spider Web – A massive size spider web to scare all the kiddies! The Shadow’s Edge 99000 Webcaster Trigger Fed Cob Web Gun – Create your own cobweb displays with this spider web gun! Pumpkin Jack Fog M achine – A crawling pumpkin headed torso that shoots fog out of it’s jack-o-lantern head! How awesome! Animated Flying Reaper – Angel of Death with large wings and glowing eyes. 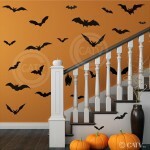 Halloween Bats – 25 bat decals to really give a spooky feel to a wall or window! Creepy Crawlies 2 DVD – Halloween Digital Decorations – Use your TV or PC monitor to show spiders, snakes, and other creepy crawlies as another decorative and mood enhancing display. Check out all the other versions of AtmosFEARfx Digital Halloween DVDs (includes Zombies, Blood Baths, & More) which I included in my Halloween Digital Decorations post! We have more Halloween themes coming soon so don’t forget to pop back and check them out – it’s been great fun seeking out extra spooky stuff to decorate with! Gamer, Blogger, Podcaster, and DJ.